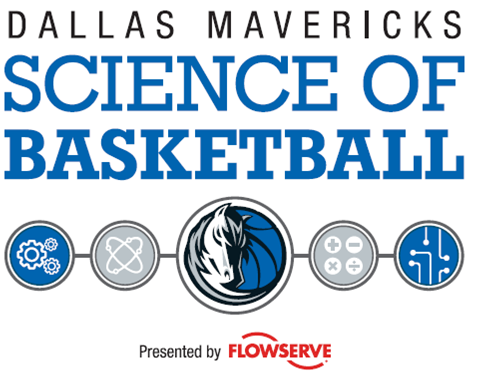 Check out this Science of Sport feature on SportTechie! “The day after the Los Angeles Dodgers clinched a berth in their second-straight NLCS was a warm and pleasant afternoon in Southern California. A group of educators gathered in an auditorium at Worthington Elementary in Inglewood, Calif., clad in blue. Smiles and chatter filled the room. Not because the local nine—Dodger Stadium is just 11 miles away—was on its way toward another hopeful World Series berth, but because the teachers were playing around with baseball itself, learning how pitches and base running can be used to demonstrate math and physics concepts. 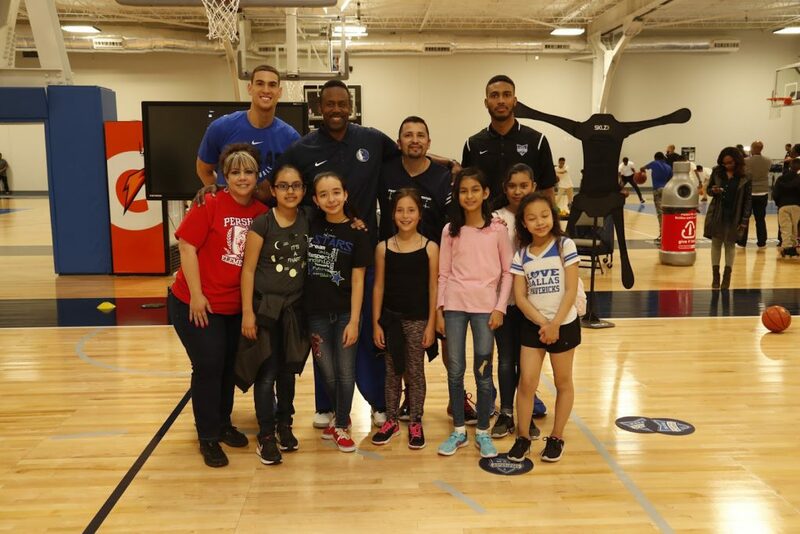 The event was organized by Science of Sport, a non-profit foundation that aims to use sports to promote science, technology, engineering, and math education. 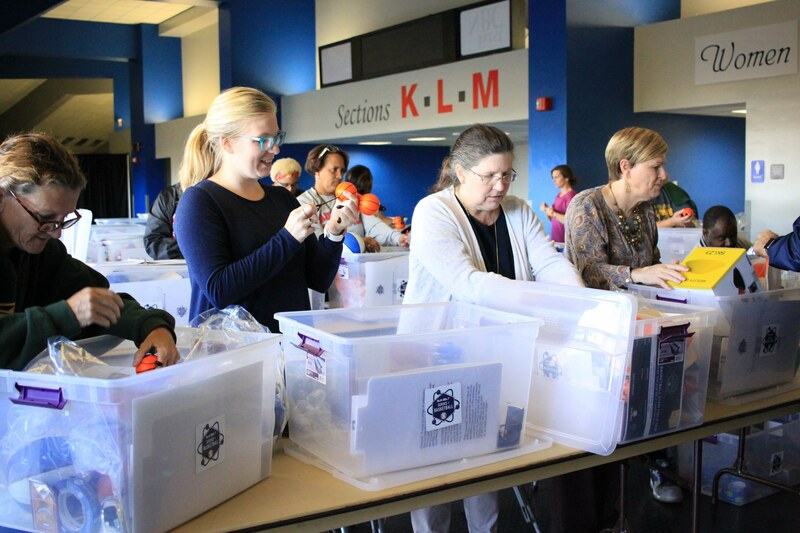 Now in its fifth year of operation, the organization has served more than 100,000 students across nine different states. 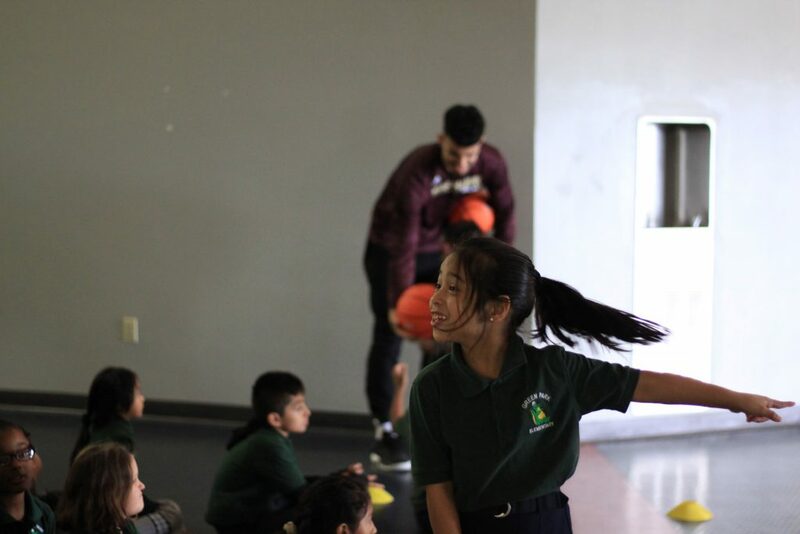 The Los Angeles Dodgers Foundation is one of the newest believers in SoS and its method of inspiring both educators and students alike. 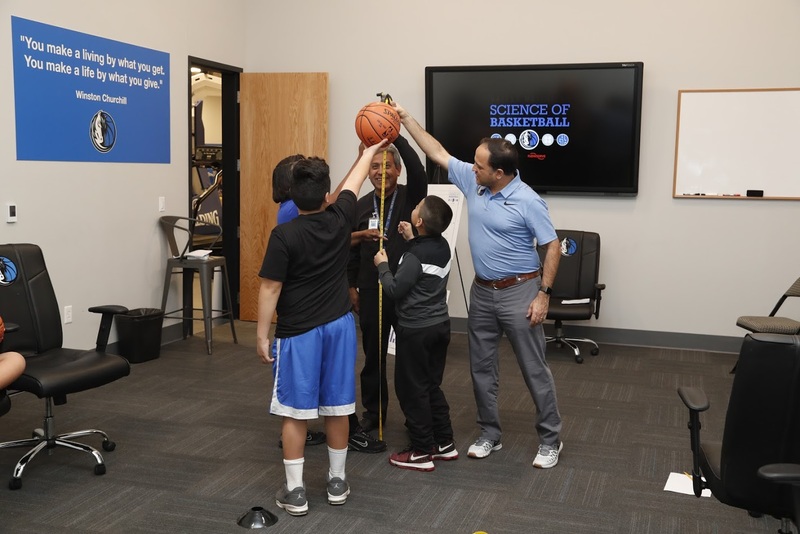 When University of Arizona associate engineering professor Ricardo Valerdi founded Science of Sport in 2013, he was looking to use the power of sports to inspire engagement and redirect that towards learning. 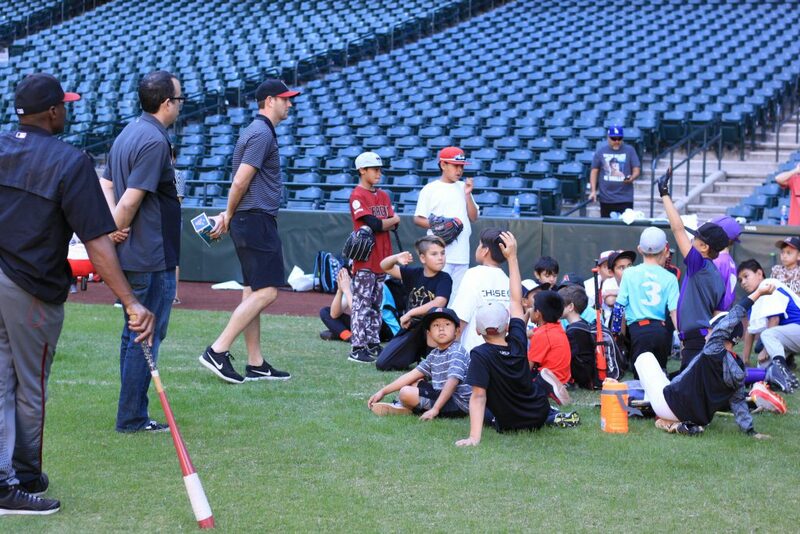 Valerdi, along with executive director Daren Heaton, has turned the small upstart operation, which initially only used baseball as a teaching too, into a diverse organization running teacher trainings, STEM showcases, and more. 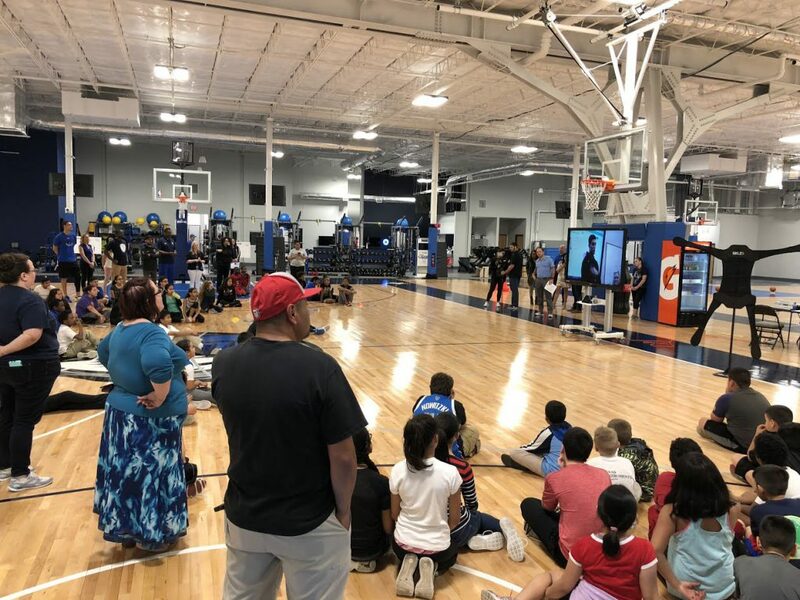 Valerdi and Heaton believe that the app will allow the organization to grow by two orders of magnitude, reaching another 100,000 students and integrating its teaching techniques with more sports, within the next five to 10 years. “If we continue to produce good content, build an appealing app and it’s available on the Apple Store, anything is possible,” said Valerdi. The app is a partnership between Science of Sport and dfusion, an app developer that typically focuses on health and wellness solutions. dfusion’s Jill Denner and Tamara Kuhn are bringing the technical and research-based expertise to the development of the project, while SoS is providing the content and teaching knowhow. 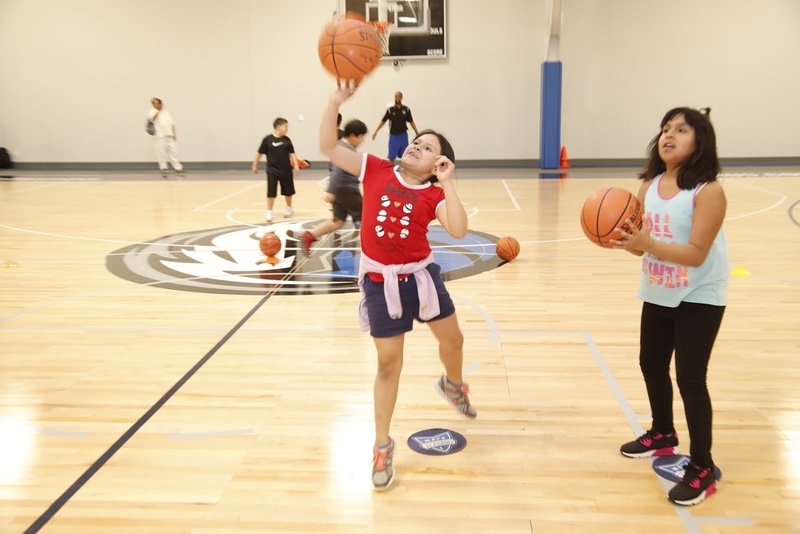 At Worthington Elementary on Oct. 9, Science of Sport’s focus was concentrated on teachers, rather than students, because just like an app, individual educators can reach out to a multitude of students. Even in a digital world, developing teachers remains a key part of what SoS does. Metropolitan Youth Foundation, Inc. is a youth organization founded by Kerry T. Williams, Jr. and his wife, Stephanie. 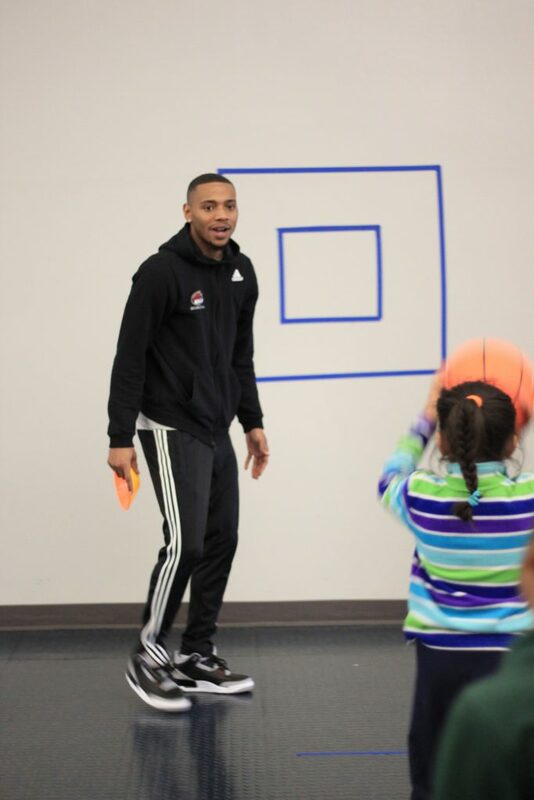 Kerry believes that the youth are our greatest strength and has coached and mentored children of various ages through a variety of programs over the past 35 years. 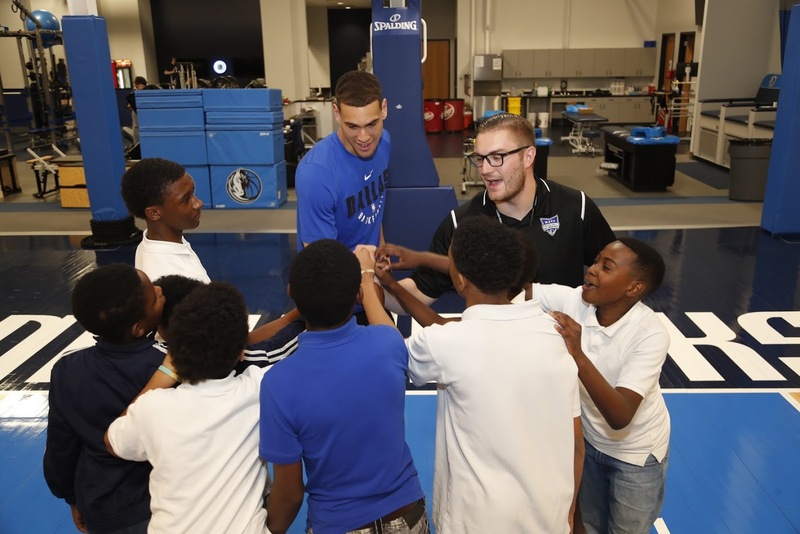 Helping young people through a program that offers physical activity, academic enrichment, and mentorship is his vision for Metropolitan. 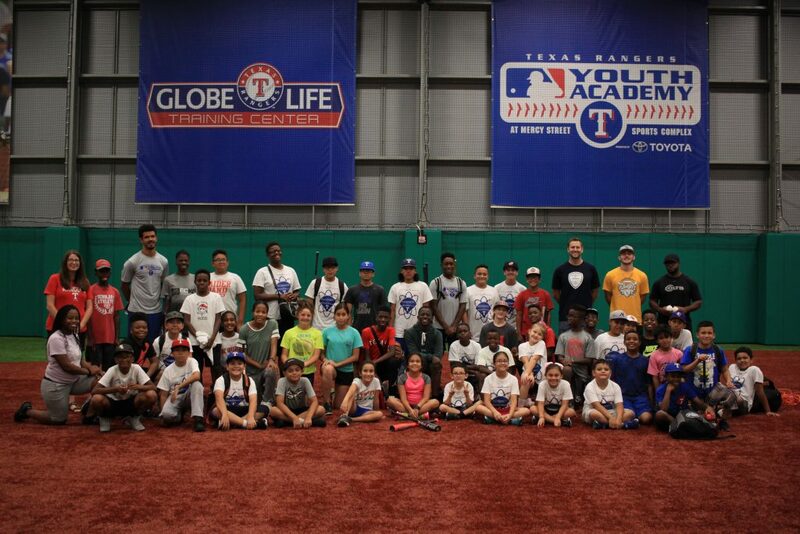 This summer, 170 campers will experience the Science of Baseball brought to life, all thanks to the Science of Sport and the MLB Youth Academies in Compton, New Orleans, and West Dallas. 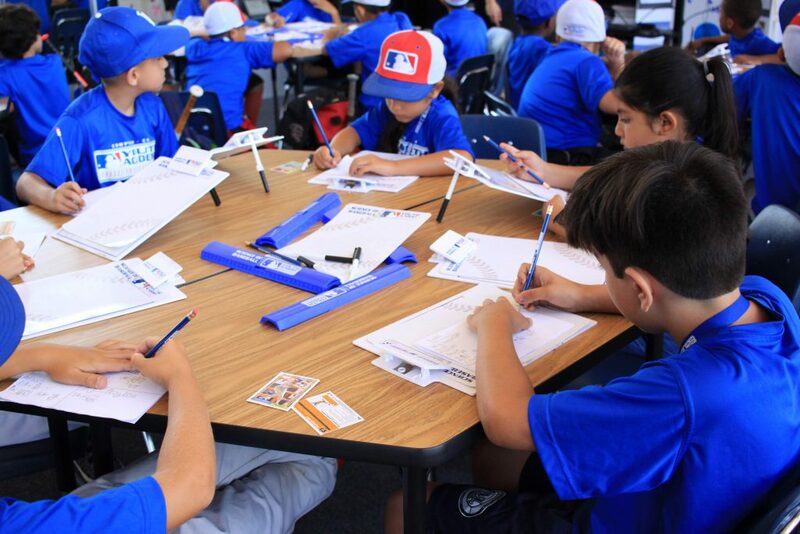 A typical program consists of an educational 2-5 week summer camp where the MLB Science of Baseball curriculum aligns with Mathematics and Science Standards in California, Louisiana, and Texas. 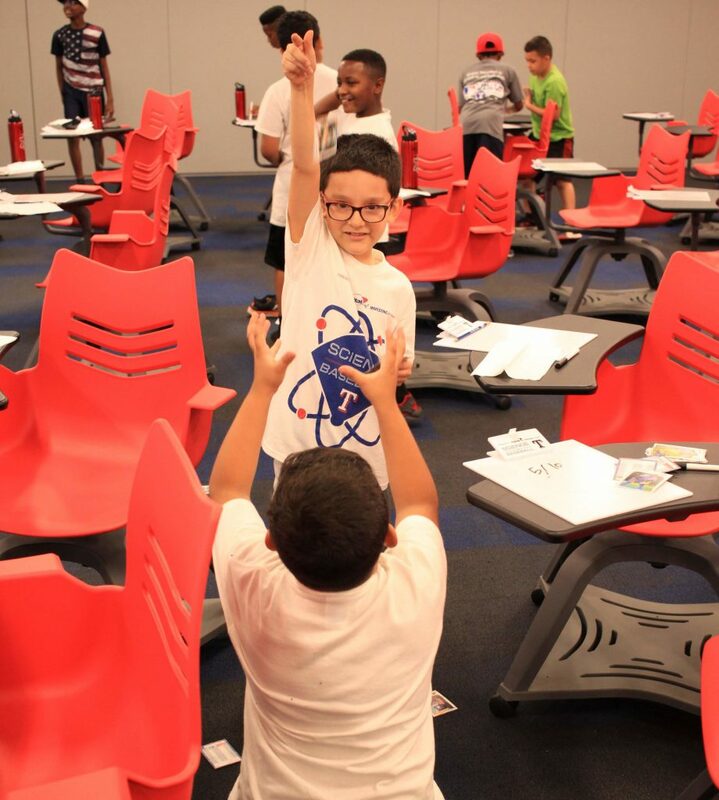 Selected campers spend their summer learning about various aspects of STEM and how it ultimately relates to baseball, careers, and overall life skills. 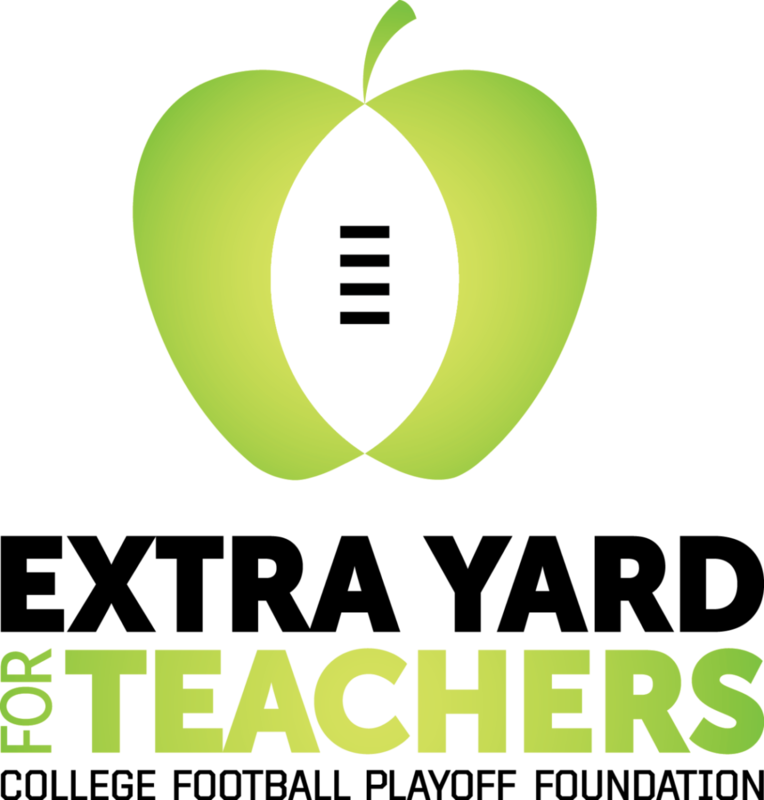 Teachers from schools surrounding the Youth Academies also have the opportunity to sign up for a Teacher Workshop to bring the program back to their classrooms. These teachers are provided with a curriculum workbook complete with lessons, worksheets and a kit containing all of the materials they will need to carry out each lesson at their school. 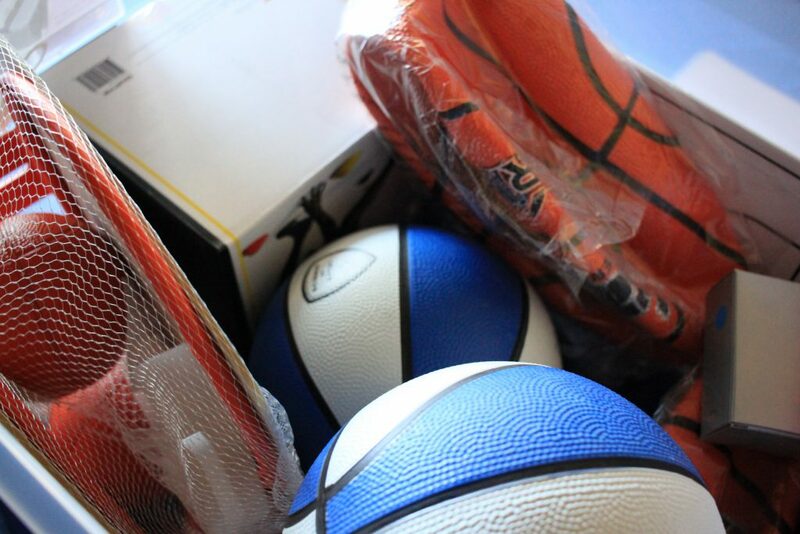 These kits contain tools from whiffle balls and baseball cards to goniometers and heart rate monitors. The first day of each week’s session consists of pre-test questions that are later evaluated with post-test questions at the end of the week. This cycle continues for every week of camp. 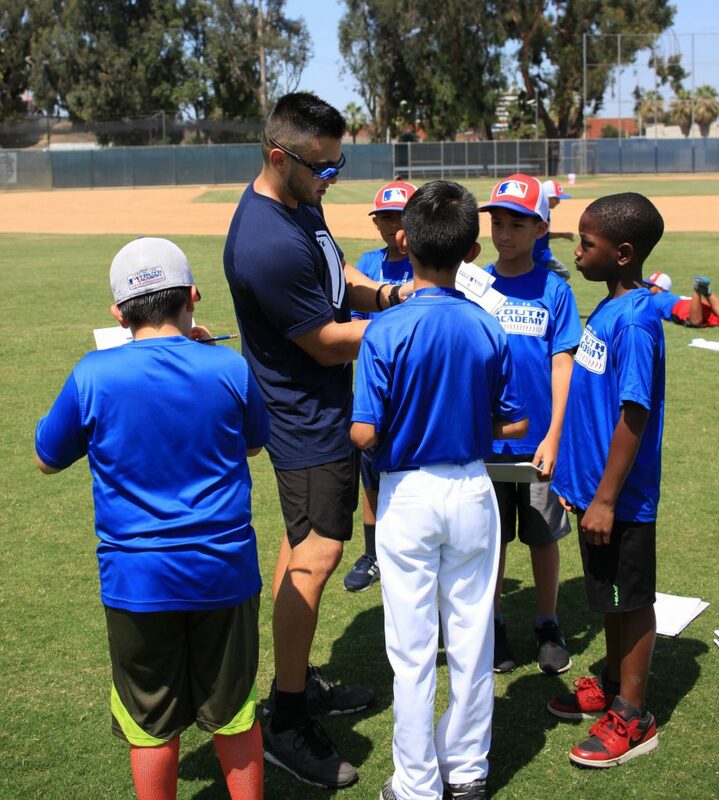 Examples of lesson concepts include: baseball positions, base running, batting averages, rounding and place value, trajectory of ball flight, reaction time, seat pricing and revenue, scoring, and nutrition. 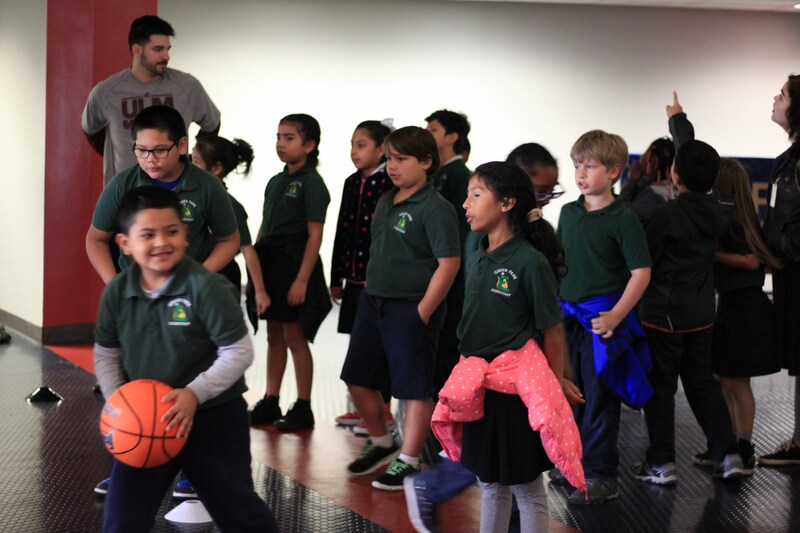 The lead instructors work hard to incorporate growth mindset concepts throughout the lessons as well, emphasizing the importance of effort and working hard to learn using different strategies and approaches to problem solving. 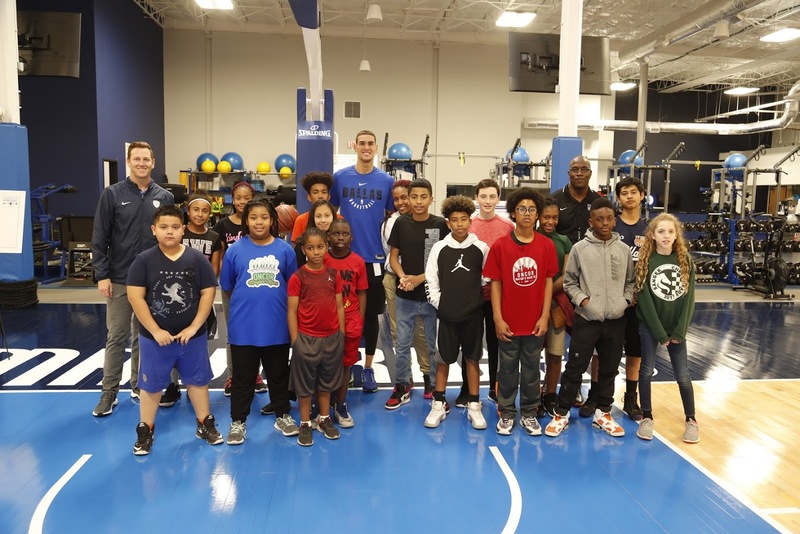 At the conclusion of the program, the campers get the opportunity to go on a field trip and display their projects they worked on throughout the summer. 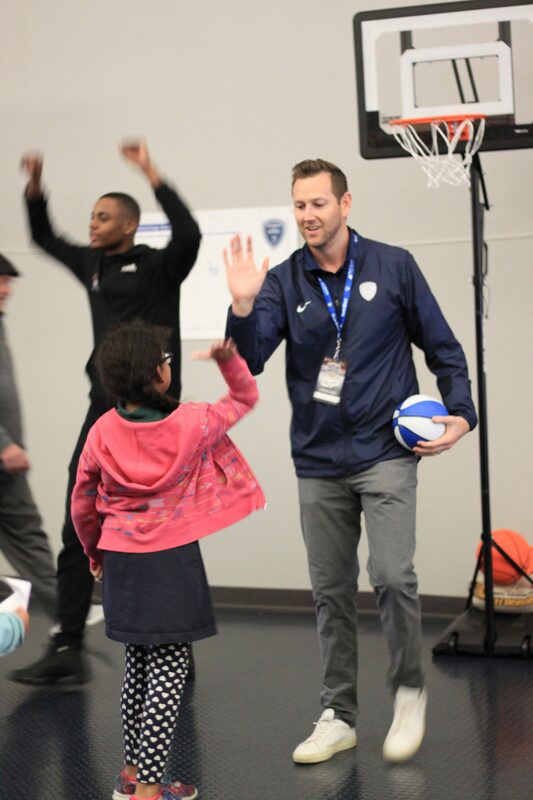 The main objective of the Science of Sport is to empower students who may be underperforming academically by relating core curriculum topics to their athletic strengths, capabilities, and interests. 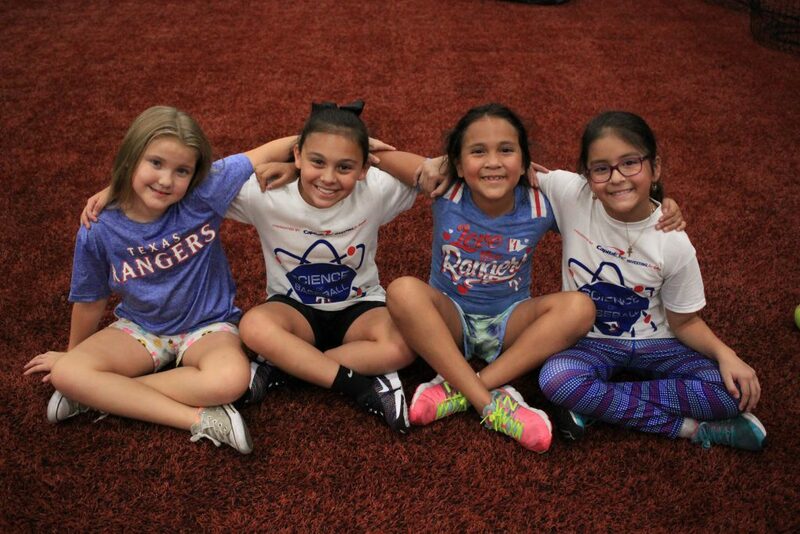 When the last few days of summer come to a close, and the campers return back to the classroom full time, the Science of Sport hopes the campers have a newfound appreciation, understanding, and passion for the science and mathematics behind the beautiful game of baseball. In additional to the baseball curriculum, Science of Sport also provides football, basketball and soccer programs for students throughout the country. 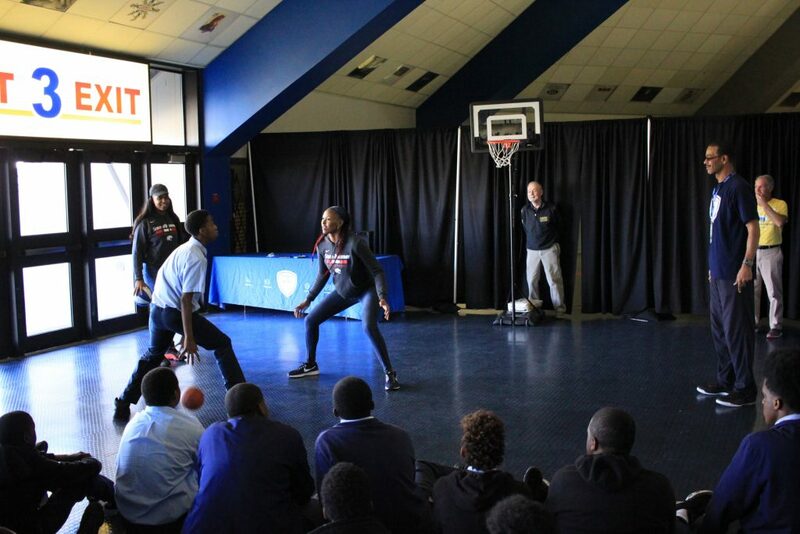 The Sun Belt Science of Basketball in partnership with the Allstate Sugar Bowl and College Football Playoff Foundation’s Extra Yard for Teachers initiative hosted over 1,000 students from the New Orleans area at a 4-day STEM Field Trip during the Sun Belt Conference Basketball Tournament from March 6th – March 9th. To bring science, technology, engineering, and math to life through the love of basketball to the students of the New Orleans area and enrich their learning with engaging curriculum. 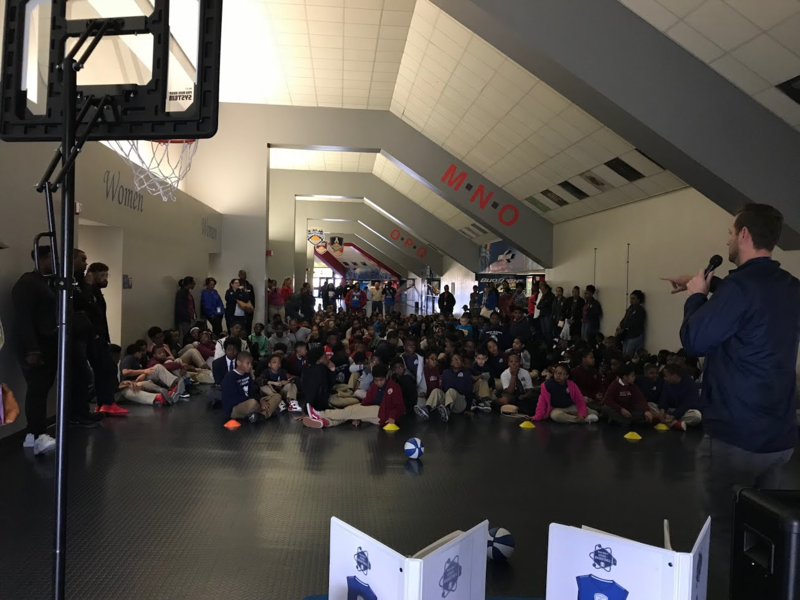 Over 1,000 students from schools throughout the New Orleans area came down to University of New Orleans Lakefront Arena during the Sun Belt Conference Basketball Tournament. 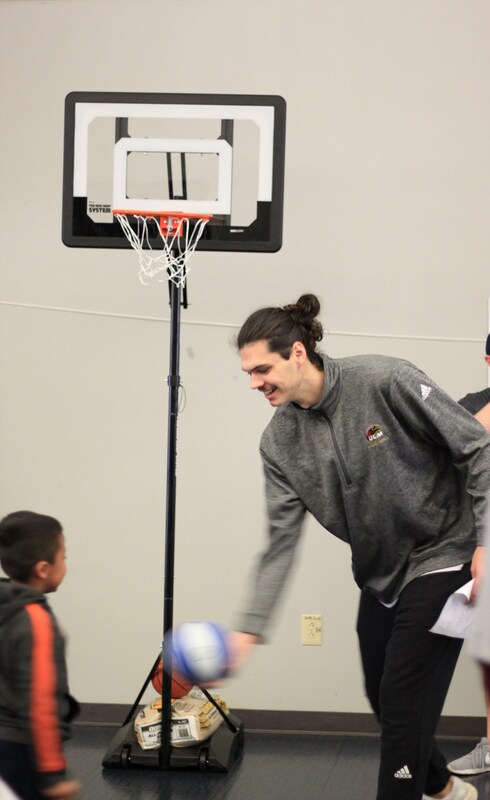 Athletes from the University of Louisiana at Monroe Men’s Basketball team and the University of South Alabama Women’s Basketball team volunteered their morning off to help get the students excited about STEM through basketball. 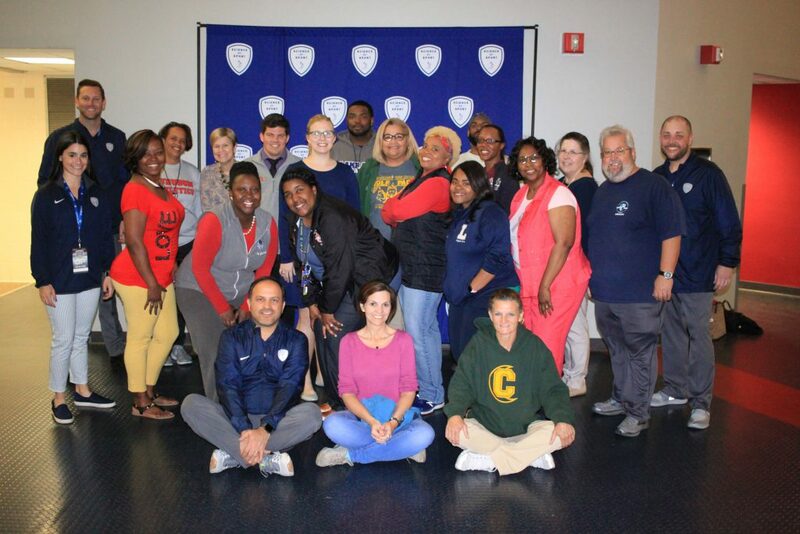 Sun Belt Science of Basketball hosted 20 teachers from the New Orleans area to come to University of New Orleans Lakefront Arena for a workshop where they each took home a full curriculum workbook and a kit of all the materials they need to implement Science of Basketball in their classrooms. 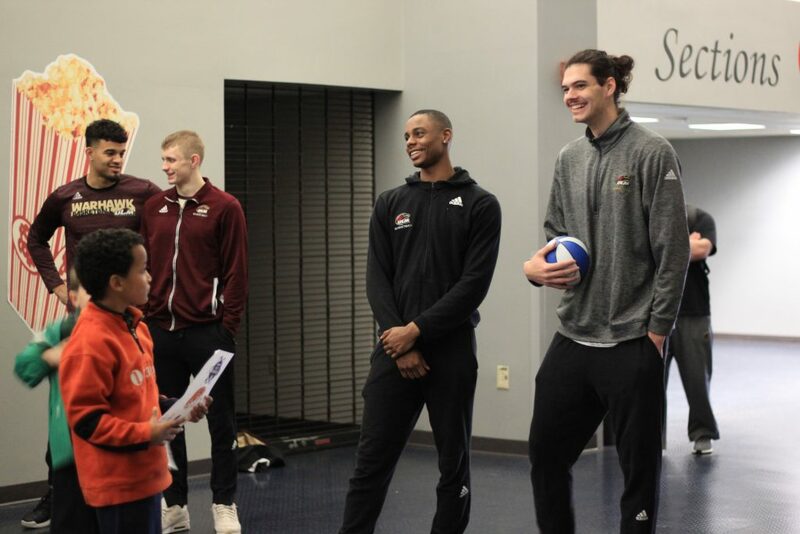 They also got to stay for dinner and received tickets to the Sun Belt Conference Basketball Tournament games that evening. 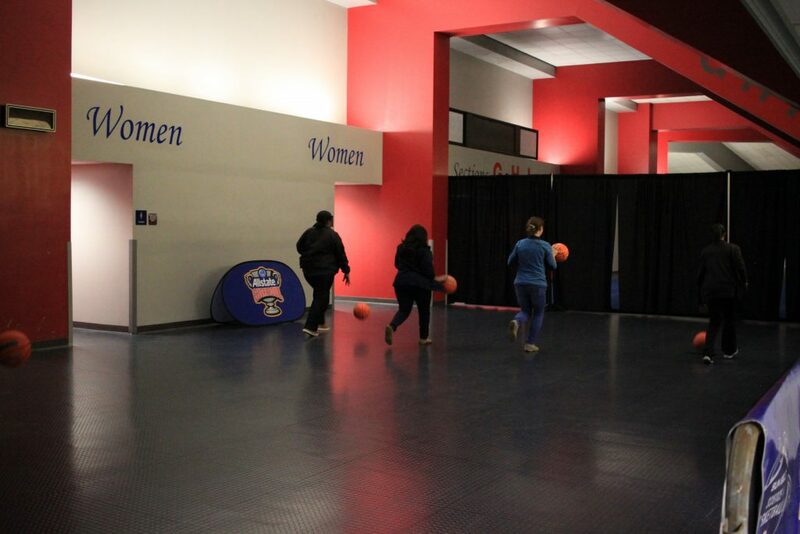 During halftime at the last game of the evening, the teachers were brought to the court to be recognized for their great work in New Orleans. Scholar athletes determine whether the jersey numbers of Sun Belt Conference players are prime, composite, or neither, and determine the prime factorization of the composite numbers. 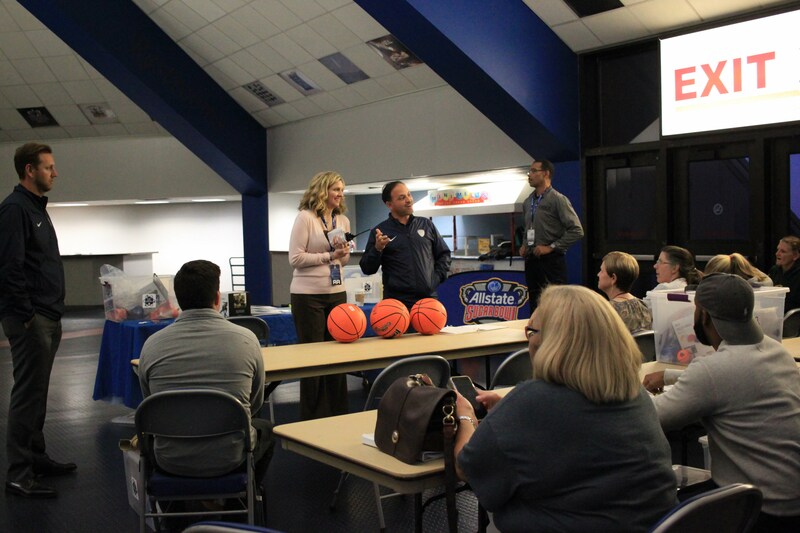 Scholar athletes predict the average attendance of Sun Belt Conference games. Scholar athletes add fractions with unlike denominators using playing times of women’s college basketball players. 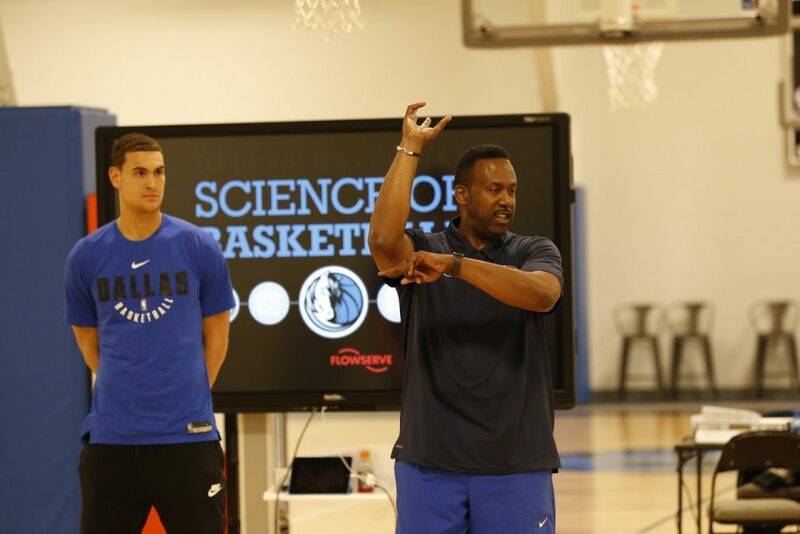 Scholar athletes compute and analyze free throw percentages of the all-time most accurate free throw shooters. 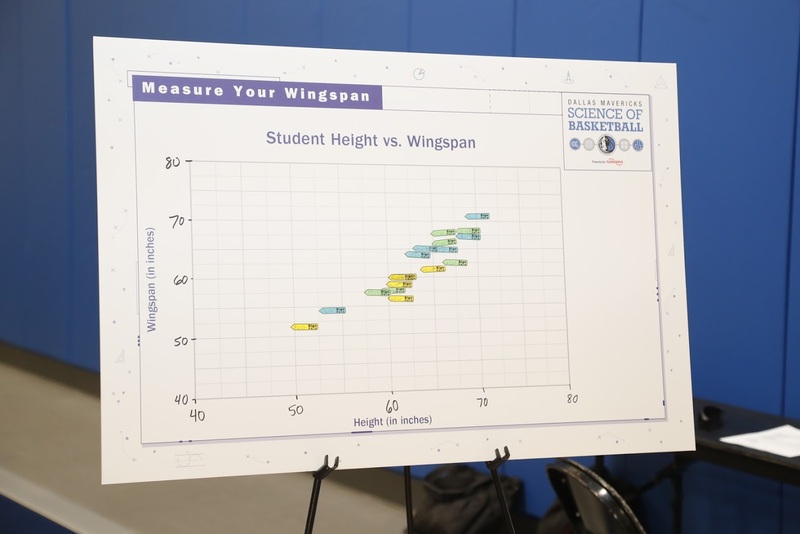 Scholar athletes calculate the shooting percentages, then calculate their own shooting percentages, from different distances. Scholar athletes make calculations based on points, games played, and points per game. Scholar athletes calculate the perimeter and area using dimensions of an NCAA basketball court, and outline a basketball court in a classroom using proportional reasoning. 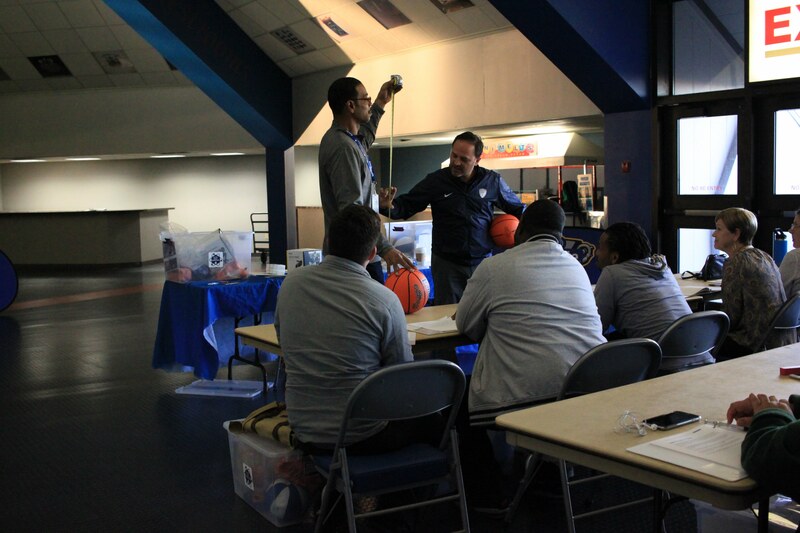 Scholar athletes measure the effect that changes in air pressure have on the bounce of a basketball. Scholar athletes create a scatterplot based on the height and weight of Sun Belt Conference players, then create a scatterplot based on student heights vs. wingspans. Scholar athletes will learn the basic food groups and the relationship between a healthy diet and athletic performance, as well as how to read food labels and identify daily values for various food components such as fat, cholesterol, carbohydrates, fiber, sodium, protein, etc. Scholar athletes measure and compare their resting and exercise-related heart rates. Scholar athletes rank order Sun Belt Conference players by their Box Plus/Minus (BPM). Scholar athletes represent the wins and losses of the 2016-17 Sun Belt Conference men’s and women’s basketball teams on a bar graph. Scholar athletes compare the enrollments of Sun Belt Conference schools to the number of wins by their men’s and women’s basketball teams. 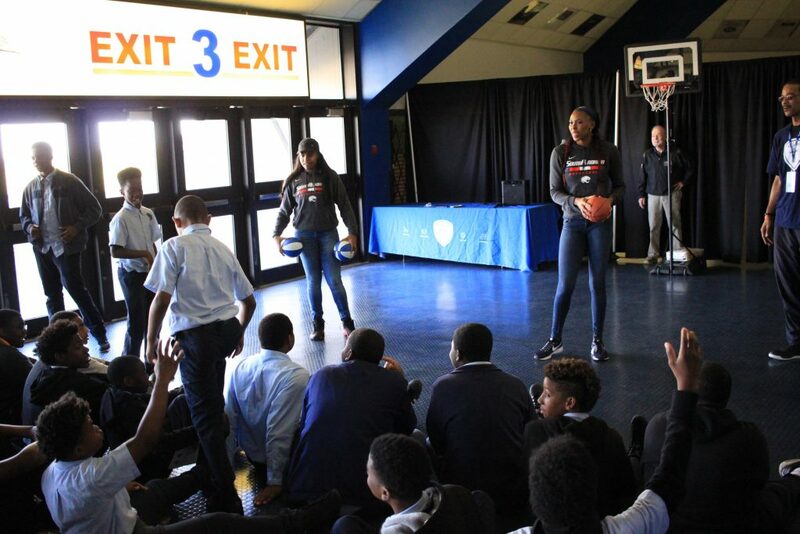 Scholar athletes design a basketball arena. 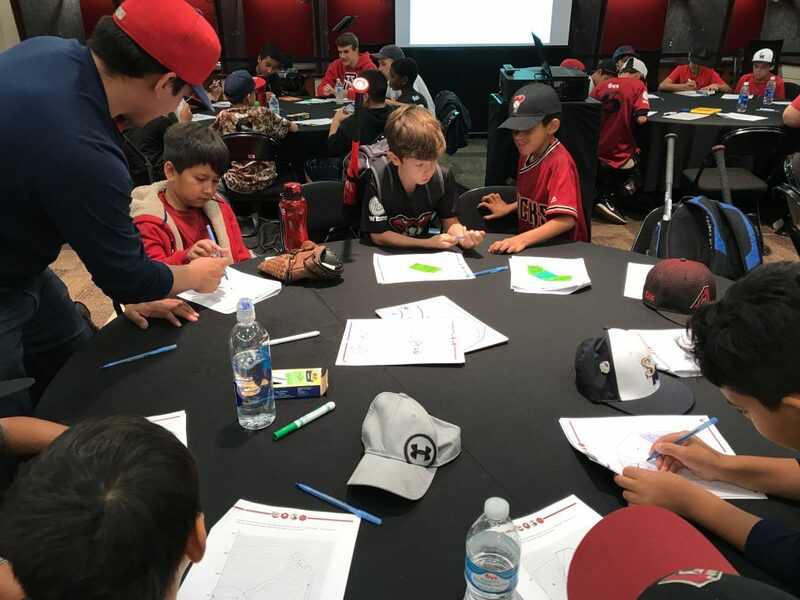 The Arizona Diamondbacks Science of Baseball presented by Chase and Insight launched in 2013 as a series of programs and initiatives that promote the importance of STEM (Science, Technology, Engineering, and Mathematics). 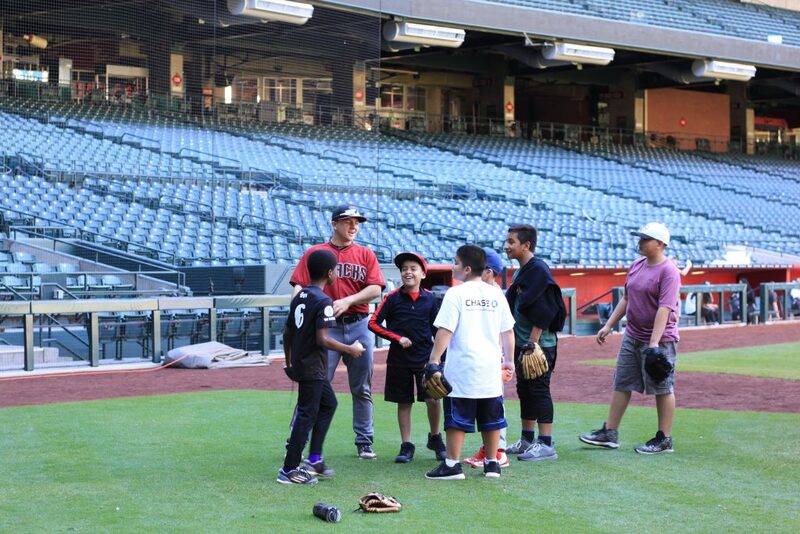 The curriculum and training for Arizona elementary and middle school teachers is offered free of charge thanks to a charitable contribution from the Arizona Diamondbacks Foundation, Chase, and Insight. Translate the American love of baseball into an appreciation, understanding, and passion of the science and mathematics underlying the sport. 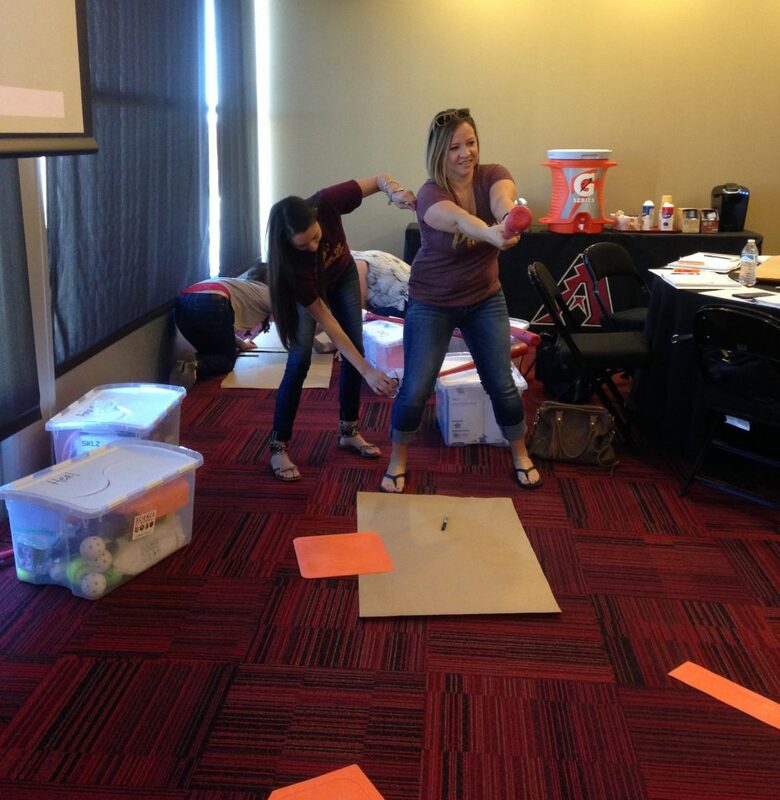 Development of the Arizona Diamondbacks Science of Baseball curriculum for 3rd – 8th grade levels which included 25 lessons that focused on different STEM concepts. 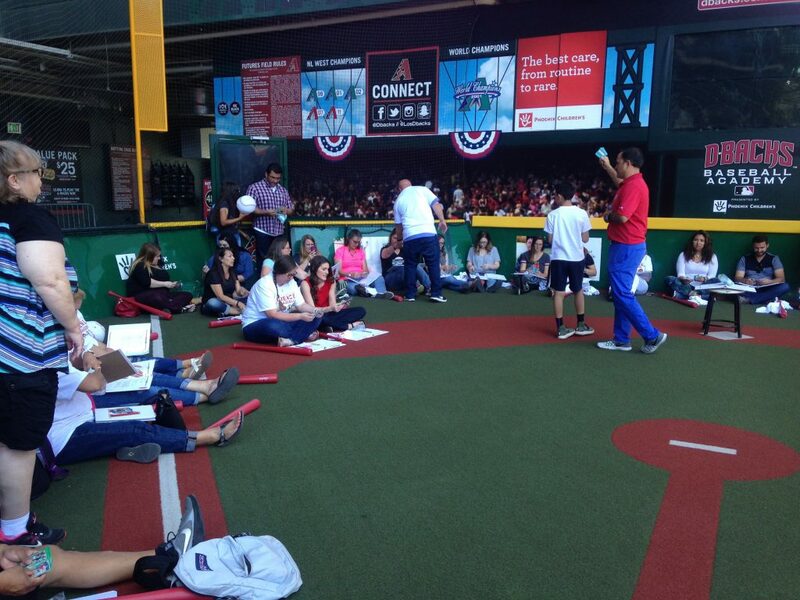 Hosted multiple Arizona Diamondbacks Science of Baseball teacher trainings for teachers from across Arizona. 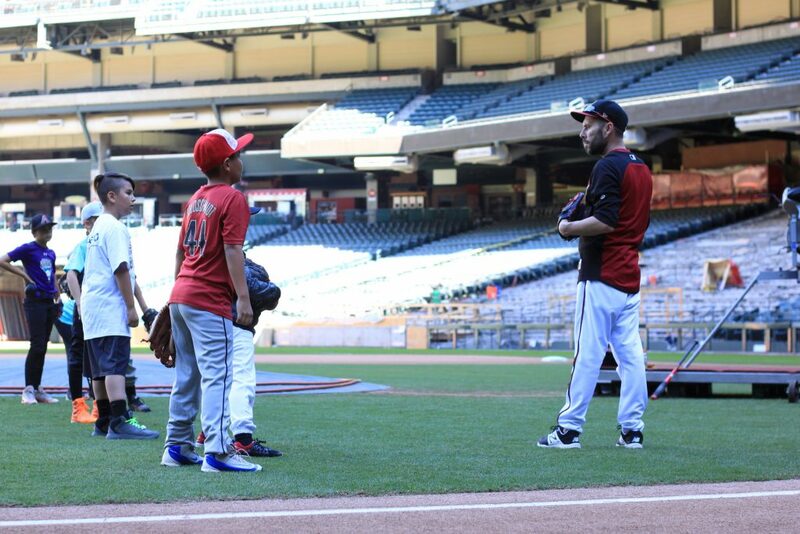 Provided an Arizona Diamondbacks Science of Baseball kit for every teacher. Developed a planning packet that included 15 Diamondbacks themed projects. 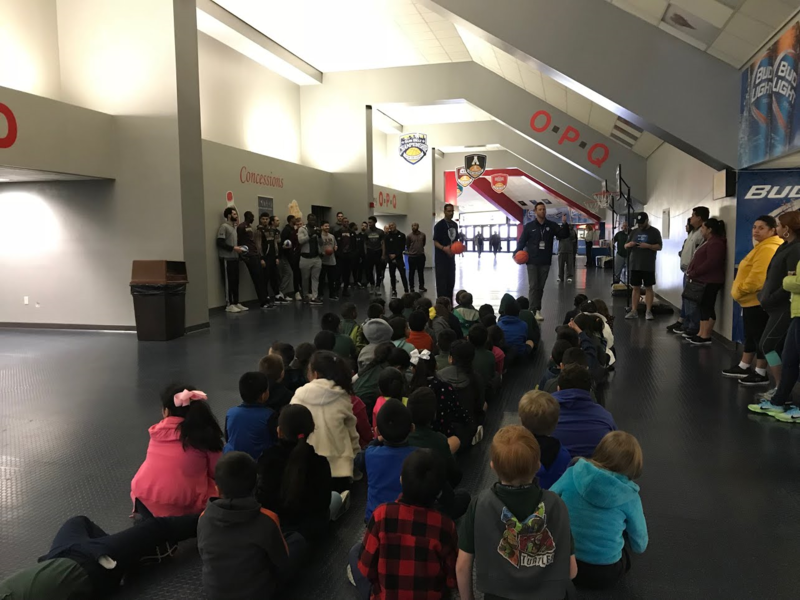 Supported the student showcase in which schools attended a Diamondbacks game to discuss projects on the concourse and participate in activities. 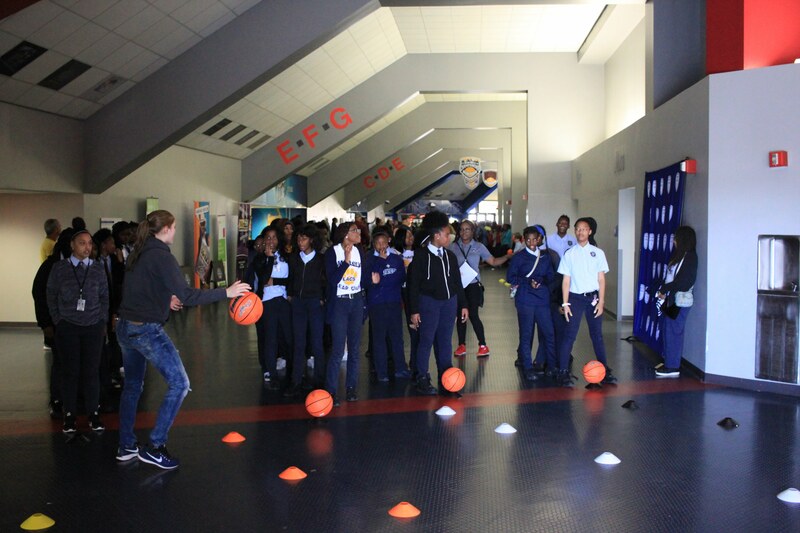 More than 300 schools have participated in the program. 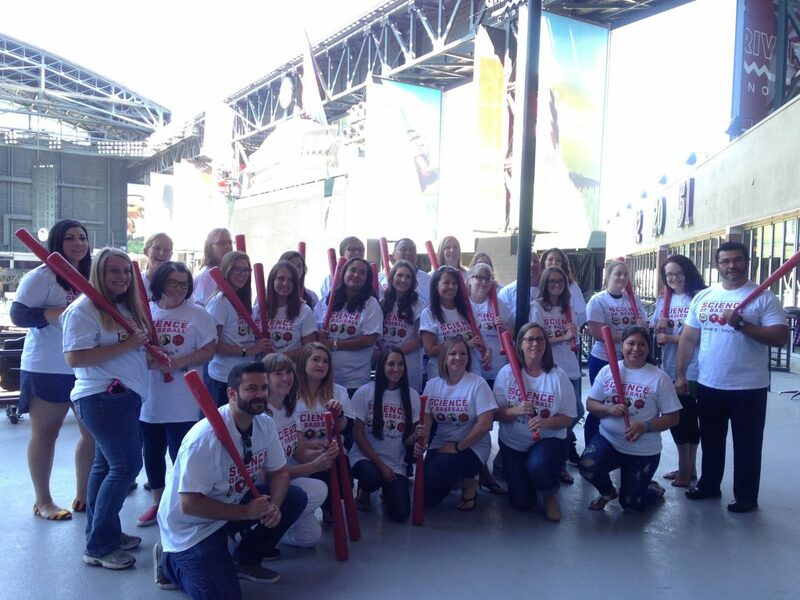 Arizona teachers got to spend a day at Chase Field before the game to attend an Arizona Diamondbacks Science of Baseball Teacher Workshop where they all received the full Science of Baseball curriculum as well as a kit containing all the materials they need to bring Science of Baseball to life in their classroom. Not only did the teachers learn the curriculum, but they got to explore Chase Field and do some of the activities that their students will be doing at school. 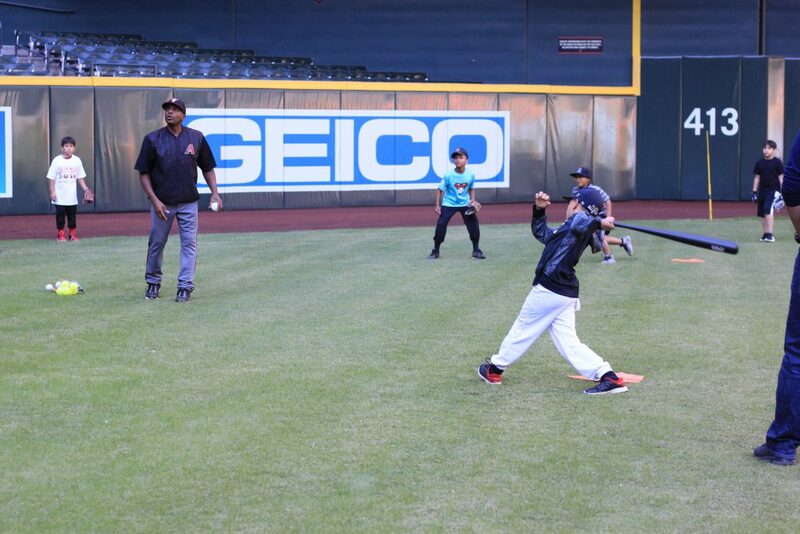 Arizona Diamondbacks Science of Baseball hosted a Student Camp of 50 South Mountain Little Leaguers at Chase Field. 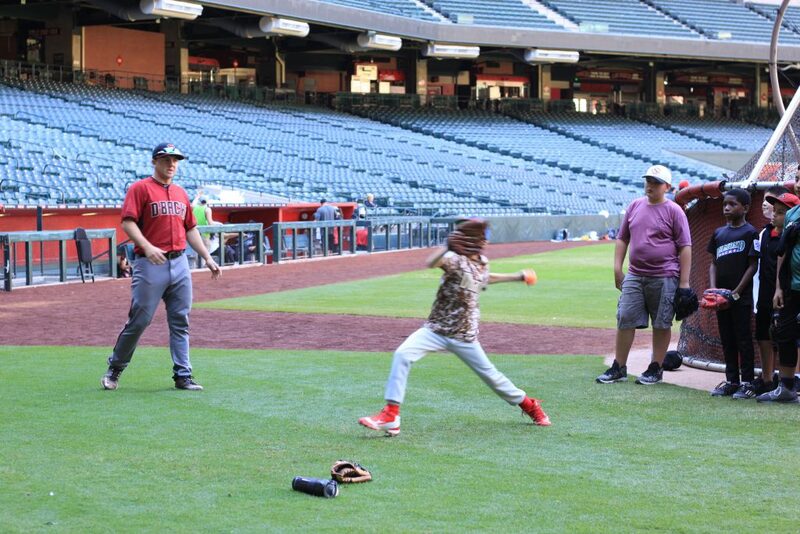 Students spent the morning in the clubhouse learning STEM concepts through baseball examples, ate lunch in the stands, and put their morning learning to work on the field with the help of the Dbacks Baseball Academy coaches. Students won prizes for participation and initiative and got to go home with a bat and ball set, a Science of Baseball t-shirt, and a new mindset about math and science! 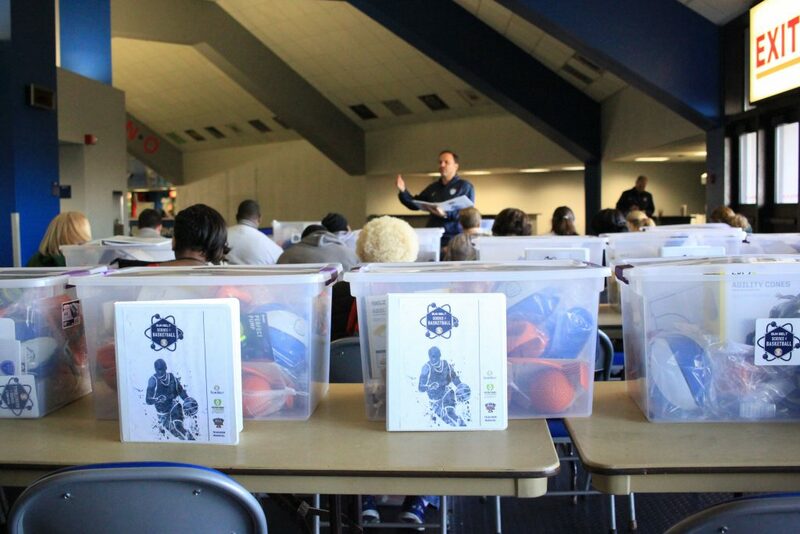 Students learn the defensive and offensive positions on the field as well as the different areas of the field. 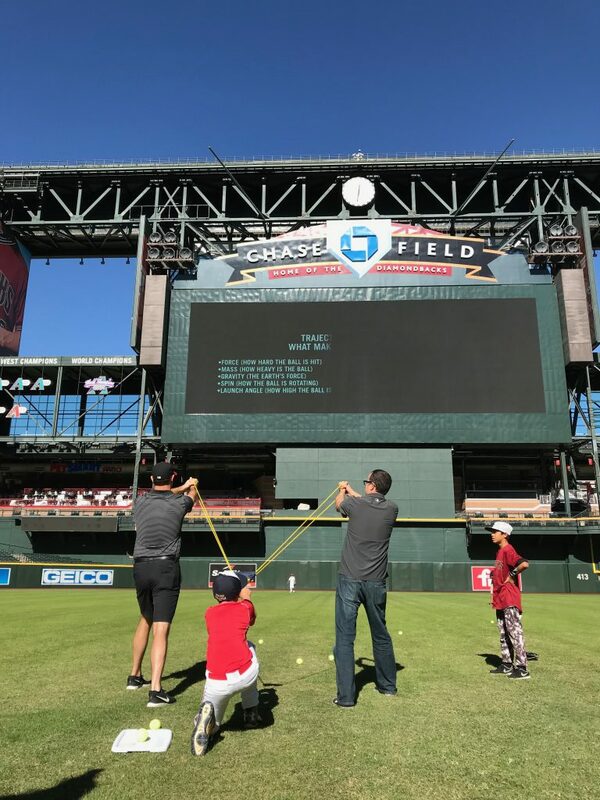 Students will research the birthplace of their favorite baseball player, measure the distance from their home to their team’s stadium, track their performance during a 1-week period, and describe how good the player is relative to his teammates and players in the same position on other teams. Students learn the basics of scoring. 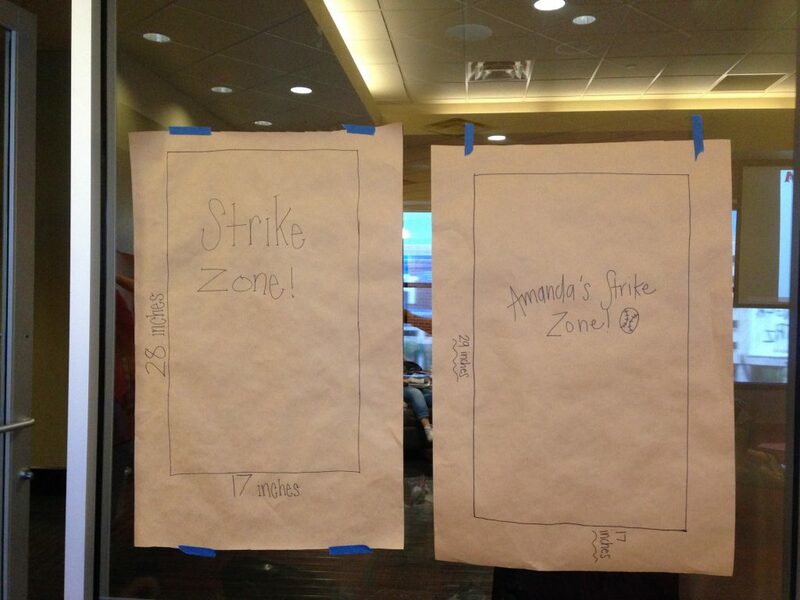 Students learn how to measure their strike zone. Students learn about mathematical and statistical analysis of baseball records (i.e., sabermetrics) by analyzing data on baseball cards. This includes offensive (batting average, slugging percentage, etc. ), defensive (fielding percentage, errors, etc. ), and pitching statistics (ERA, WHIP, etc.). 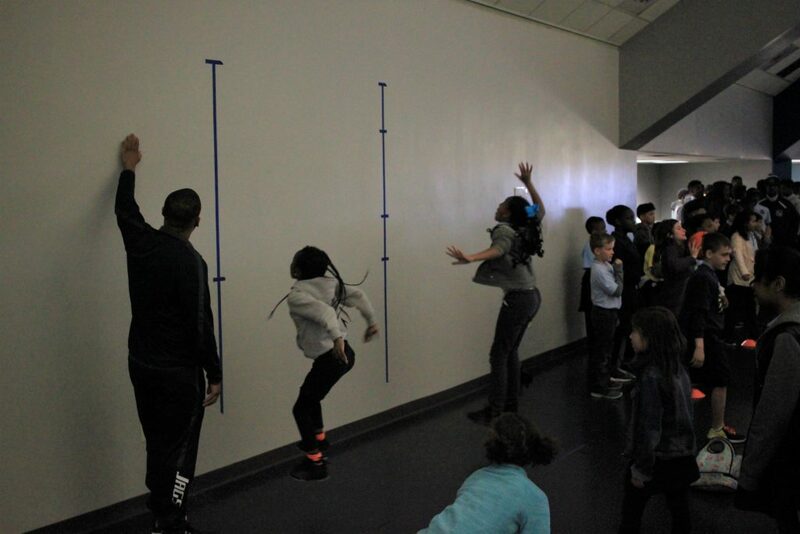 Students explore the dimensions of the baseball field such as distances between home plate and the pitching mound, location of foul lines and foul poles, and various angles within the infield associated with successful batting. 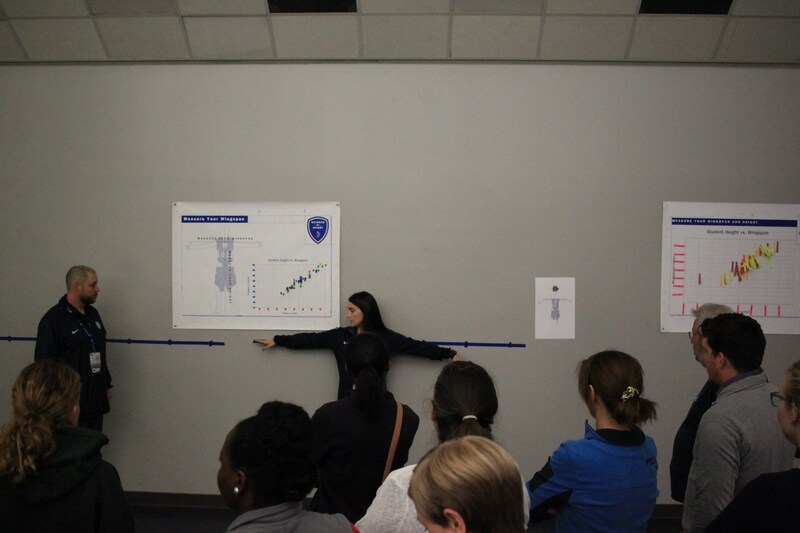 Students learn the basic food groups and the relationship between a healthy diet and athletic performance. 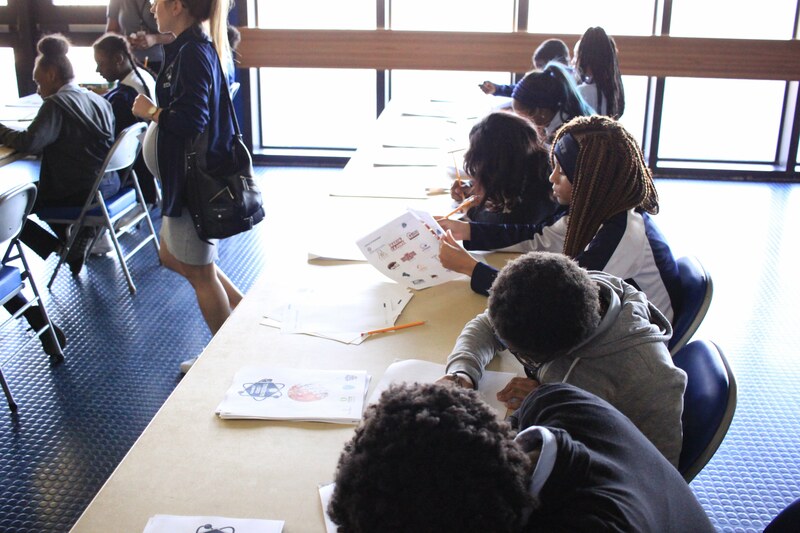 Students also learn how to read food labels and identify daily values for various food components such as fat, cholesterol, carbohydrates, fiber, sodium, protein, etc. Students will learn the relationship between activity levels and heart rate. This will expose them to the broader topic of physiology, namely the connection between exercise level and heart rate. 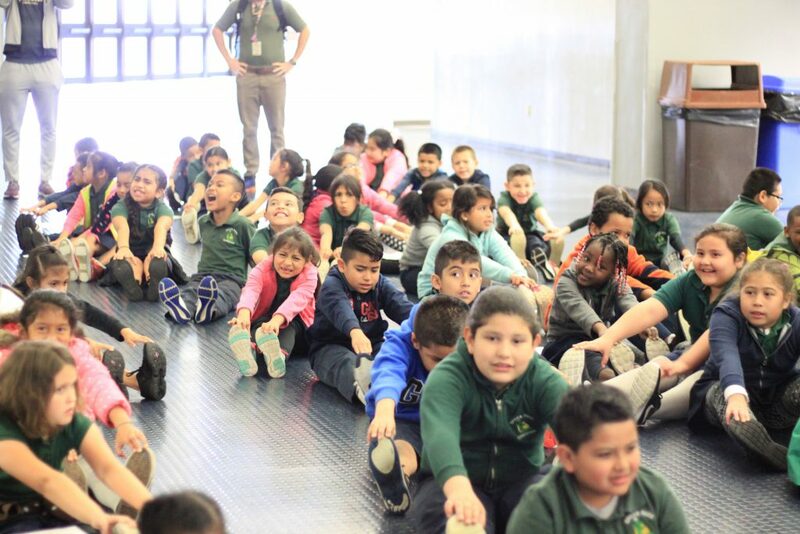 Students learn about the musculoskeletal system and its role in providing form, support, stability, and movement. Special emphasis is placed on the shoulder tendons and their rotational limits during throwing motion. 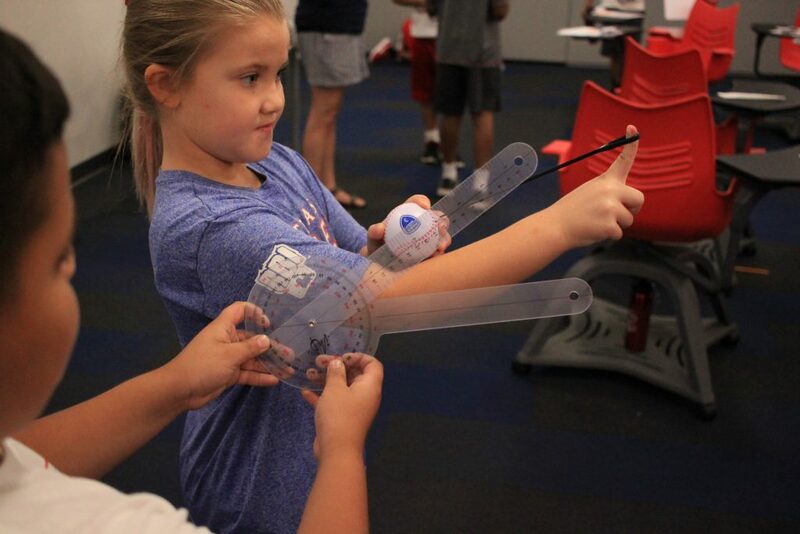 Students also learn about the center of mass and how it changes during swinging and throwing movements. Students learn how much time batters have to react to pitches at different speeds and from different distances. Students learn how to measure fielding percentage by catching baseball cards. 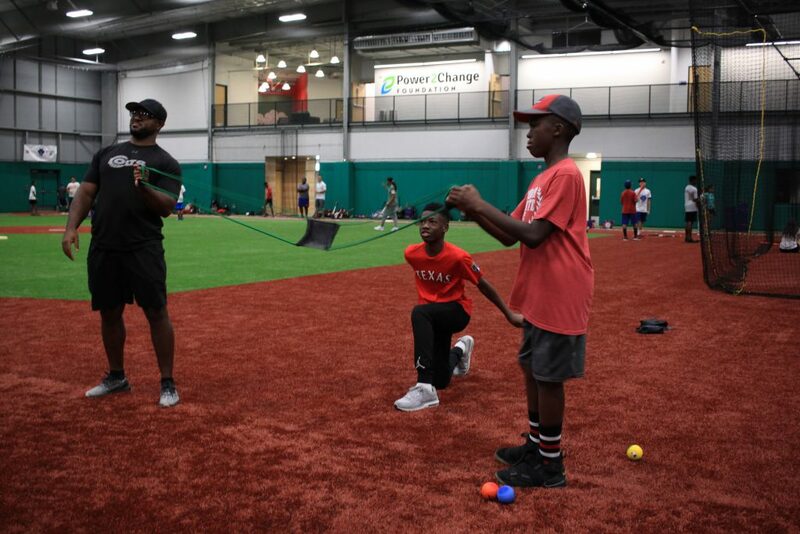 Special emphasis is placed on the role of hand-eye coordination and its influence on fielding abilities. Students explore the effects of different angles of trajectory on the flight distance of a baseball. The role of angles, velocity, and spin are taken into account. Environmental conditions such as weather, temperature, and altitude are also considered. Students explore the physical properties of materials (e.g., baseballs, softballs, tennis balls) and their interactions to external forces (e.g., bats, gloves). The effects of gravity and surfaces are analyzed to understand the expected behavior of a ball in play. 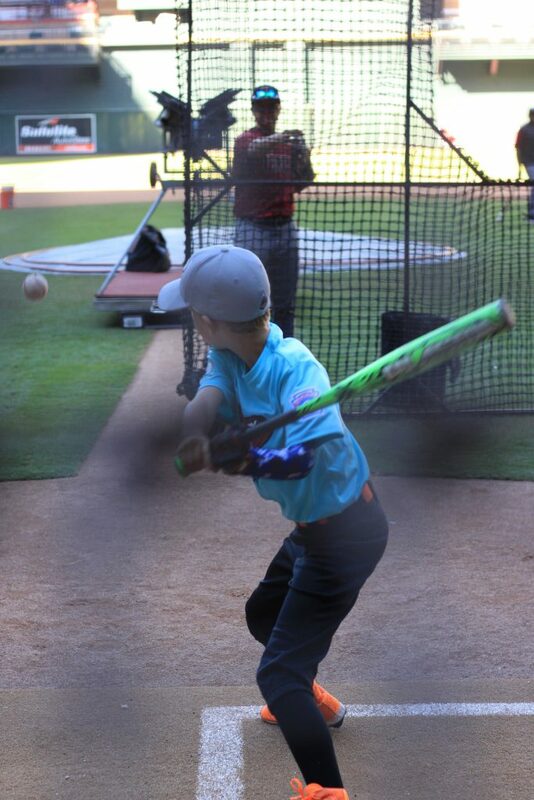 Students will learn how to shift their weight to generate power when hitting and throwing. Simple measurements of weight distribution (using scales) will help illustrate the amount of weight needed to maximize angular velocity. Students explore the effects of angular momentum in the context of base running. Students visualize large amounts of data and draw conclusions based on the statistical distributions. Data include heat maps of strike zones and spray charts of batted balls. Students analyze data to determine the effects of home field advantage and the impact of slugging percentage. 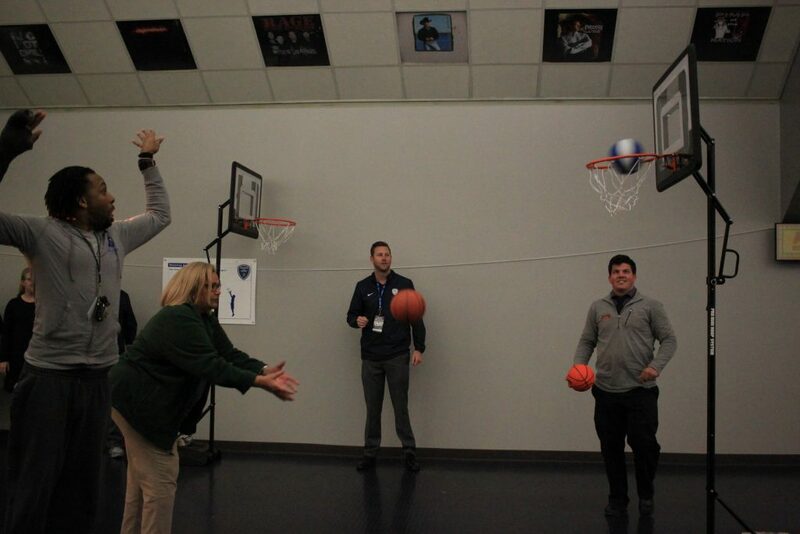 Students will learn about the aerodynamic properties of a ball in flight and the influence of spin on its trajectory. Students will calculate the expected revenue from ticket sales at different ballparks based on pricing, seat capacity, and other revenue streams such as merchandise, parking, and concessions. Students will estimate how many miles teams travel during a road trip and use this information to forecast how many total miles they will travel during the season. Students learn how to identify their dominant eye and the importance of depth perception. Students learn how to find the appropriate bat size based on their height, weight, and strength. Students compare baseball to other sports in terms of winning percentages. Students analyze how many home runs were hit in each ballpark. Students compare statistics for both MLB leagues. 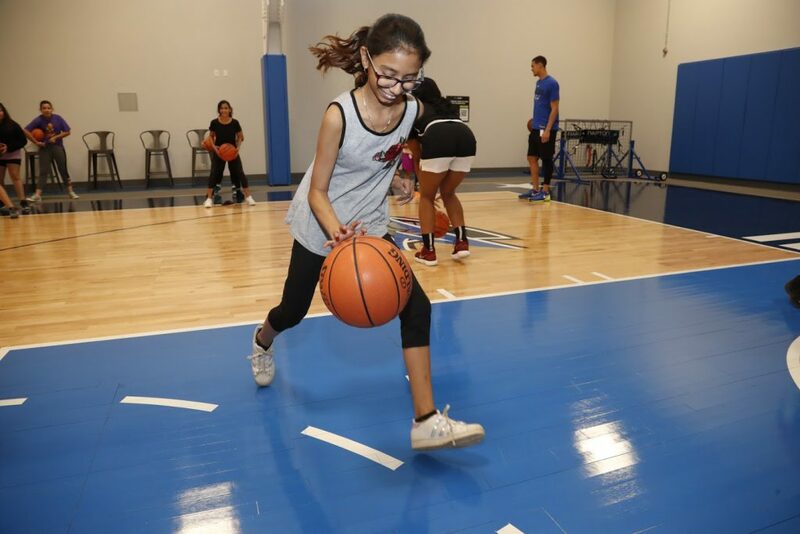 Arizona taxpayers may support our programs for students through a donation to Science of Sport as a Qualifying Charitable Organization (QCO) until April 17, 2018 and receive a dollar-for-dollar tax credit against your 2017 state tax liability. The limits for 2017 a Qualifying Charitable Organization allow for up to $400 for single filers and up to $800 married/joint filling. Beginning with the 2016 tax year, credit eligible contributions made to a Qualifying Charitable Organization or Qualifying Foster Care Charitable Organization that are made on or before April 16th (the 15th day of the fourth month following the close of the taxable year) may be applied to either the current or the preceding taxable year and is considered to have been made on the last day of that taxable year. NOTE: Because calendar year filers have until April 17, 2018, to file their 2017 tax return, these taxpayers also have until April 17, 2018, to make qualifying contributions and claim these credits on their 2017 Arizona return. Donations made in 2018 are not deductible on 2017 federal filings. Please consult with a tax advisor. The tax credits are only available to individuals who file taxes in Arizona. For more information please visit the State of Arizona Department of Revenue at AZDOR.GOV. You can also contact Science of Sport at (602)525-3197 or email daren@new.sciencesport.org.